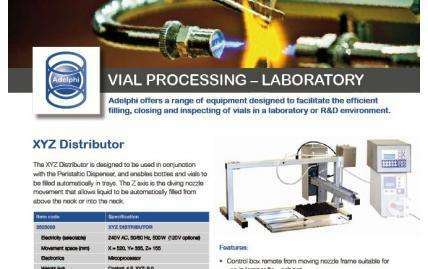 Adelphi offers a range of equipment designed to facilitate the efficient filling, closing and inspecting of vials in a laboratory or R&D environment. 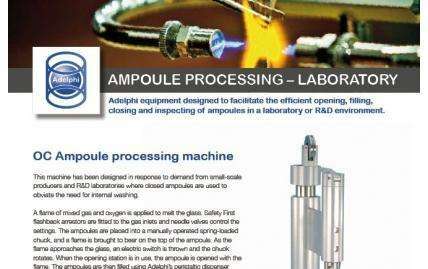 Adelphi equipment designed to facilitate the efficient opening, filling, closing and inspecting of ampoules in a laboratory or R&D environment. 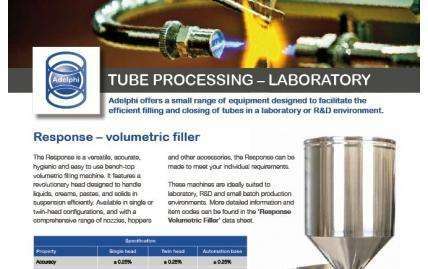 Adelphi offers a small range of equipment designed to facilitate the efficient filling and closing of tubes in a laboratory or R&D environment. 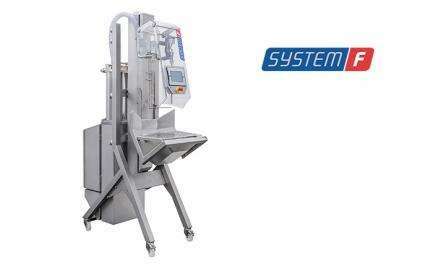 Adapting one of our standard products often provides a cost-effective solution. 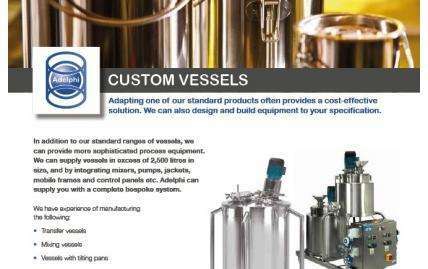 We can also design and build equipment to your specification. 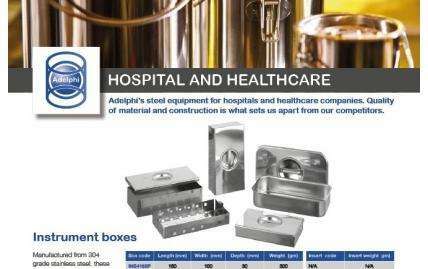 Adelphi’s steel equipment for hospitals and healthcare companies. Quality of material and construction is what sets us apart from our competitors. 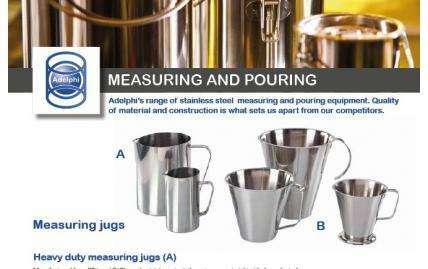 Adelphi’s range of stainless steel measuring and pouring equipment. Quality of material and construction is what sets us apart from our competitors. 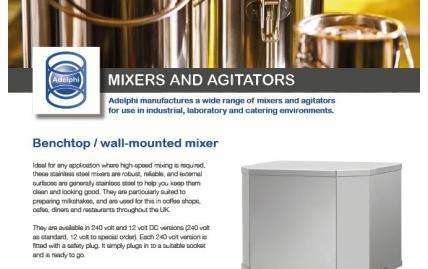 Adelphi manufactures a wide range of mixers and agitators for use in industrial, laboratory and catering environments. 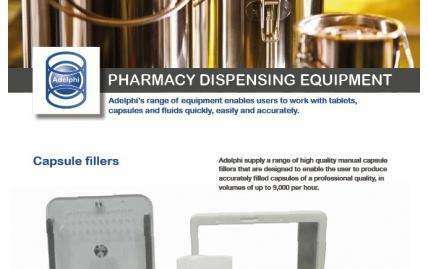 Adelphi’s range of equipment enables users to work with tablets, capsules and fluids quickly, easily and accurately. 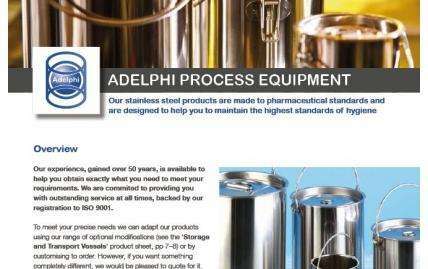 Our stainless steel products are made to pharmaceutical standards and are designed to help you to maintain the highest standards of hygiene. 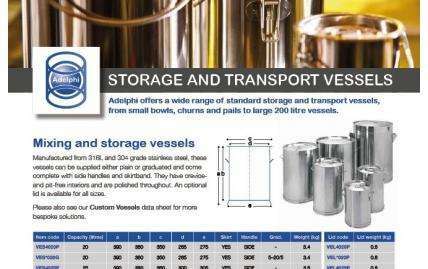 Adelphi offers a wide range of standard storage and transport vessels, from small bowls, churns and pails to large 200 litre vessels. 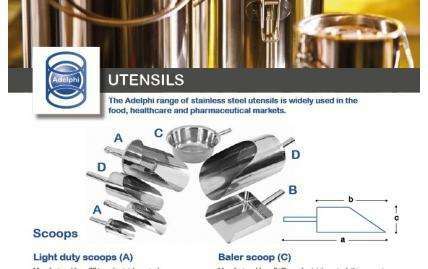 The Adelphi range of stainless steel utensils is widely used in the food, healthcare and pharmaceutical markets. 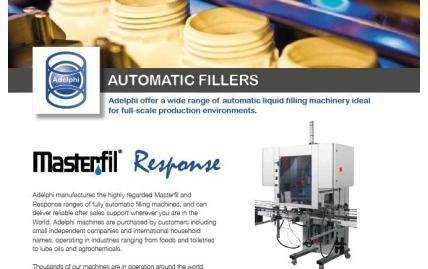 Adelphi offer a wide range of automatic liquid filling machinery ideal for full-scale production environments. 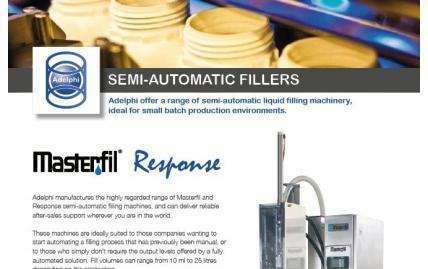 Adelphi offer a range of semi-automatic liquid filling machinery, ideal for small batch production environments. 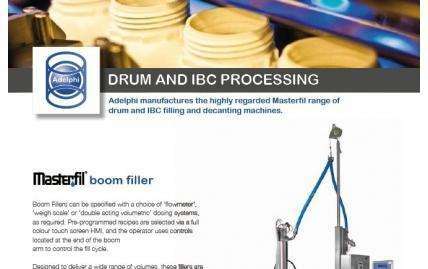 Adelphi manufactures the highly regarded Masterfil range of drum and IBC filling and decanting machines. 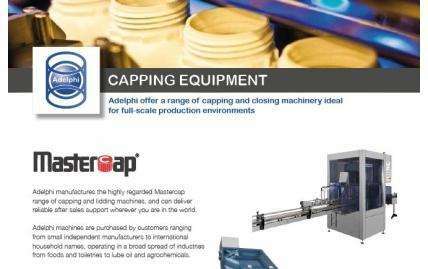 Adelphi offer a range of capping and closing machinery ideal for full-scale production environments. 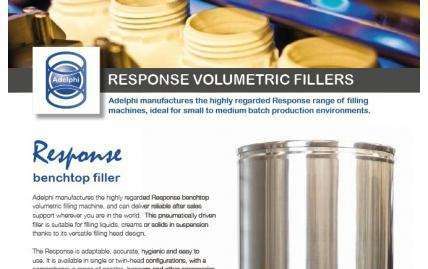 Adelphi manufactures the highly regarded Response range of filling machines, ideal for small to medium batch production environments. 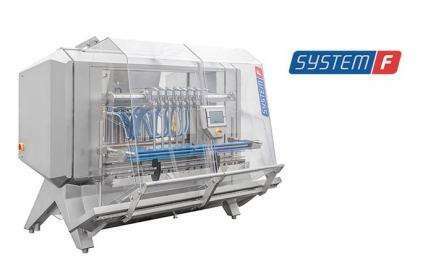 With our System range, we are developing an entirely new set of packaging machines that are not only excellently engineered, but thoroughly designed. 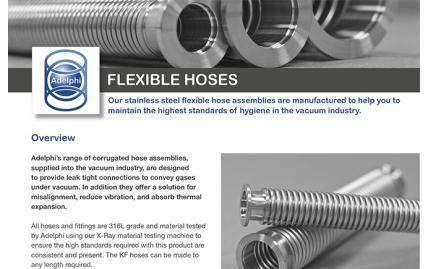 High quality stainless steel hose flexible assemblies for the vacuum industry. Available in a range of diameters and lengths and manufactured in 316L grade. Adelphi has been the sole representative of ROTA in the UK since 1976. 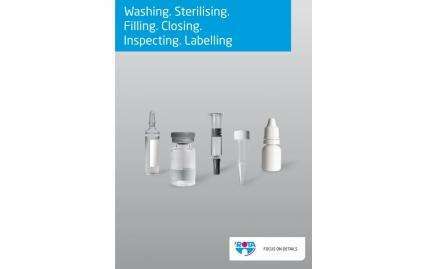 ROTA’s range of high quality ampoule and vial processing equipment is a perfect fit with Adelphi’s own product set.